The Beauty Clinic was set up by Lesley Attwell in 1985 in Maidenhead and relocated to Binfield, Berkshire in August 2016.
is to help make the best of who you are. Professionalism – I Am fully qualified, well trained and regularly attend courses to keep up to date. Friendly – I am proud of our friendly service, providing a comfortable, homely atmosphere with a personal touch. Trust – I will always suggest the right treatment or product to personally suit you – not the most expensive. Salon Owner, Lesley is qualified in all of the treatments offered. 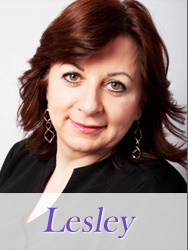 Lesley specialises in electrolysis and particularly loves delivering the anti-ageing facial treatments. Lesley likes to make her clients feel good. She helps to bring out the best in them as individuals by recommending the most appropriate treatments. 'As a customer of 15 years, I feel confident in recommending The Beauty Clinic – it's one big happy family and they really care' Sharon.